Place the berries with 2 tbsps. erythritol in the saucepan. Add few tablespoons of water and cook for couple of minutes until cranberries have popped. Set aside to cool down a bit. Preheat oven to 170C and line baking tin (square20cmx20cm) with baking paper. In medium bowl mix soy flour, ground almond, coconut and baking powder. In a large bowl whip egg whites with cream of tartar (with electric mixer it takes only few minutes). In a separate bowl, using electric mixer, beat eggs yolks with butter until yellow and fluffy. Add vanilla, erythritol and mix all together well. Add half of mixed flours and fold it in gently. Add remaining flour and repeat folding in. In a separate bowl, using electric mixer, combine cream cheese, egg yolk and 2 tbsps. of erythritol. Pour the batter into a cake tin and spread the cream cheese on top of it. Gently spread the cranberry sauce on top of it. Bake for about 50 mins. Check with a skewer if the cake is baked (the skewer should come out clean). Let it cool and decorate with erythritol (powdered). One of my favourite desserts of all times is a chocolate mousse (for the recipe click here). Here is a bit different variation, made with oranges. 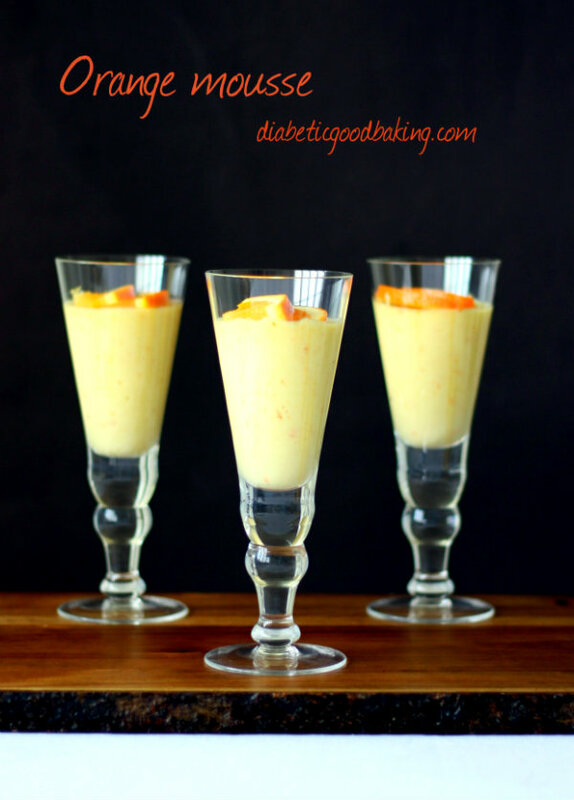 Light and fluffy, makes a nice refreshing dessert, perfect end to your low carb meal. 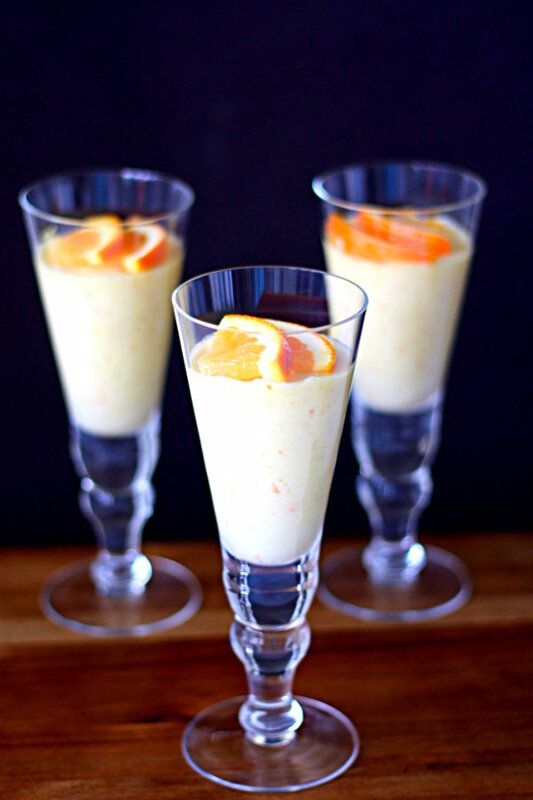 You may add splash of orange liquor (such as Contreau or grand manier) to give it an indulgent kick. Soak the gelatine in cold water to soften it. Heat the orange juice in the microwave for 30 sec. Squeeze the excess water from the gelatine, add to the hot juice and stir to dissolve. Set aside to cool. Put the egg yolks, erytritol and orange zest into a bowl and whisk over a saucepan of hot water for 10 mins until thick and foamy. Remove from the heat and continue whisking until completely cool. Fold the gelatine and orange mix into the egg yolk mixture. In separate bowls, whisk the egg whites and cream until both are softly stiff, then gently fold into the orange mix. Spoon into 8 glasses and chill until set. Decorate with slice of orange. 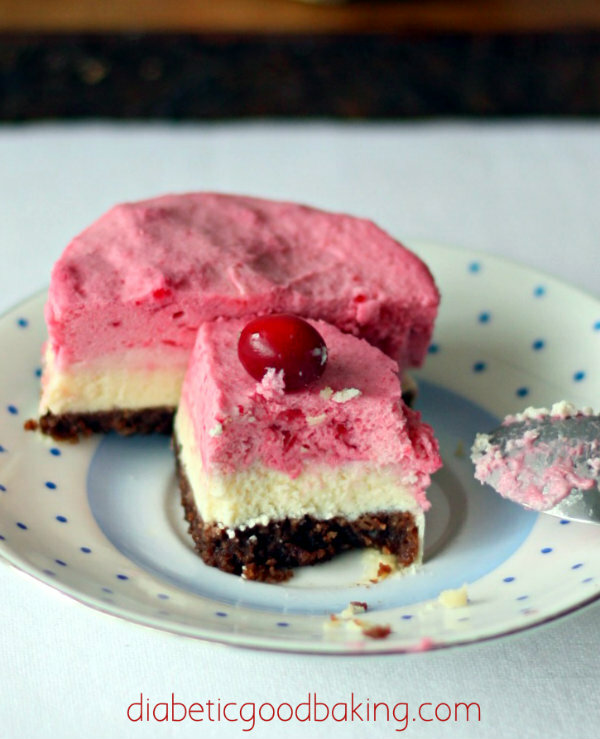 The mousse can be refrigerated for up to 2 days. Using electric mixer beat egg whites until soft peaks form. At the end of beating gradually add xylitol. Add the egg yolks one by one, still beating until the mixture is thick and creamy. Gently fold in the almonds and cocoa powder. Pour the batter into prepared tin and bake for about 40 minutes (check with the skewer if the cake is ready). Set aside to cool down. In a saucepan, heat up cherries with erythritol. Take off the heat and sprinkle xantam gum over the top and stir it up well. Add kirsh and set aside to cool down completely. Whip the cream with powdered erythritol. Cut the sponge in half horizontally. Transfer one layer on the cake stand and spread about 1/3 of the whipped cream on top of it. 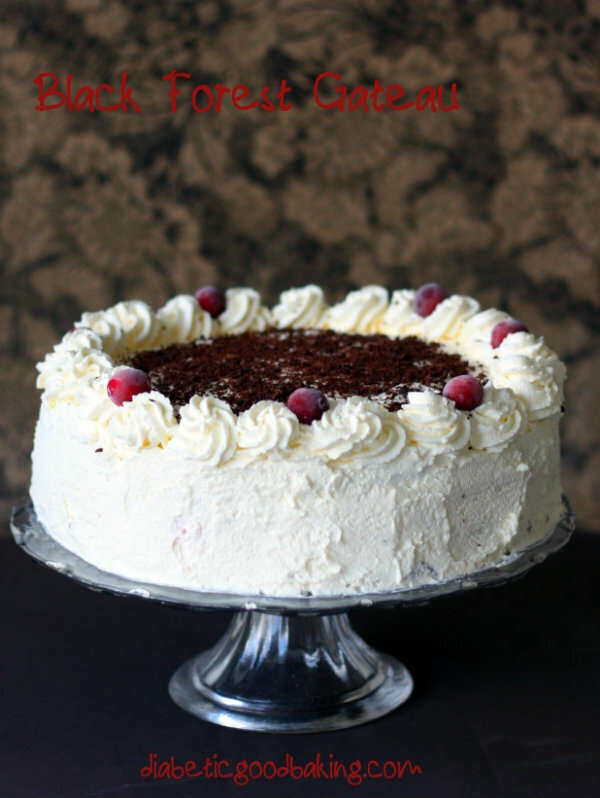 Spread the cherry filling over the cream and top with the second layer. Spread half of the remaining cream over the top and sides of the cake. Spoon the remaining cream into a piping bag fitted with a large, star nozzle and pipe rosettes around the edge of the cake. 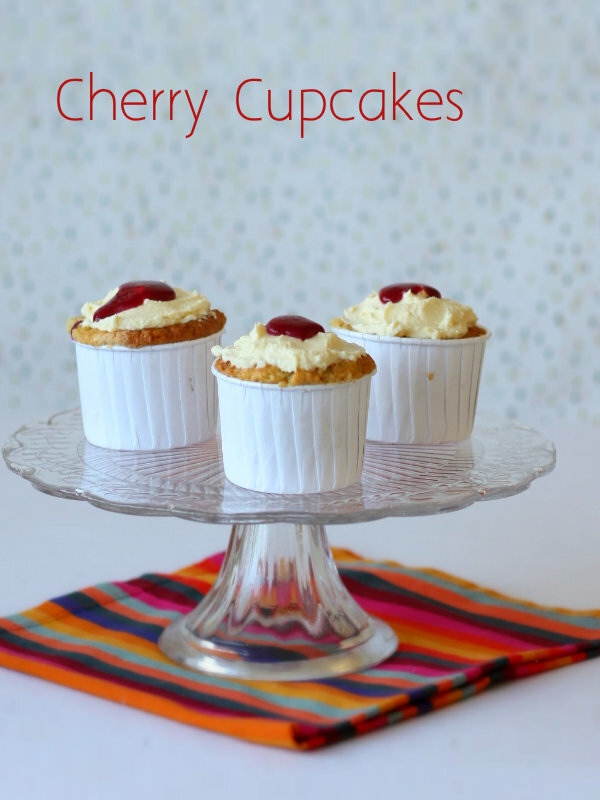 Decorated with fresh cherries if you have some and sprinkle a chocolate over the top. Low carb breakfast seems to be the most difficult meal of the day on lchf diet. Fry up is nice, but after a while I get bored of sausages and eggs. 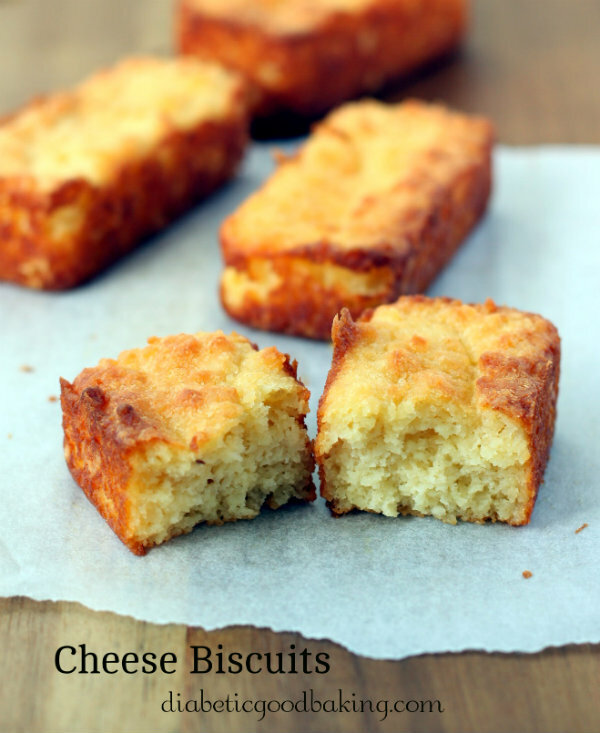 I came across these cheese biscuits on lowcarbfamily.com They are quite high in fat, so you need one or maximum two to feel full for hours. There is also one more massive benefit. Apart from baking a big batch they make a super fast breakfast on the go. You grab one from the fridge and enjoy with your morning cup of tea or coffee. Mix all dry ingredients (almonds, baking soda, salt) in a large bowl. Add butter, cream cheese and the egg. Combine everything together and add cheddar cheese. Portion batter. It’s really up to you what tray you want to use. It can be muffin tray or a mini loaves tin. I have mine from Lakeland. Bake for 20 -25 minutes. Taste nice both warm and cold. New beginnings, fresh starts, reaffirmations of love and promises for a brighter future all come to mind as we ring in a New Year. Hope it will be another good year for all of us. It is never too late to start again, but yes, it is always very early, when one gives up. Happy New Year! I’m starting New Year with these pretty looking mini cheesecakes. I hope I will post many other great recipes in 2016. I have many lined up, lots of bookmarks on my laptop and even more in many baking books I’ve collected over the last few years. I wonder, if I will ever run out of ideas, but to be honest I don’t think so. 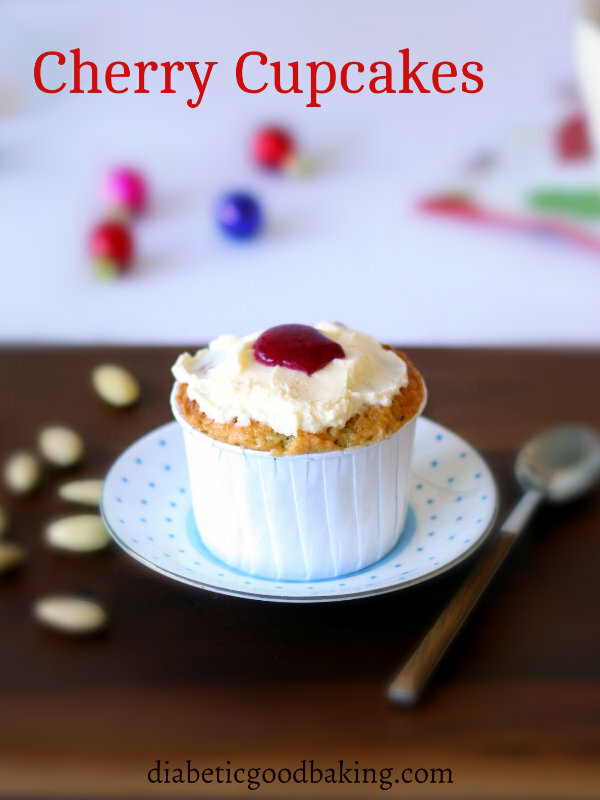 There are so many recipes out there, from different parts of the world and the good news is, that most of them can be adapted to low carb baking. The only problem I have, is to find someone, who will help me to eat all this deliciousness. 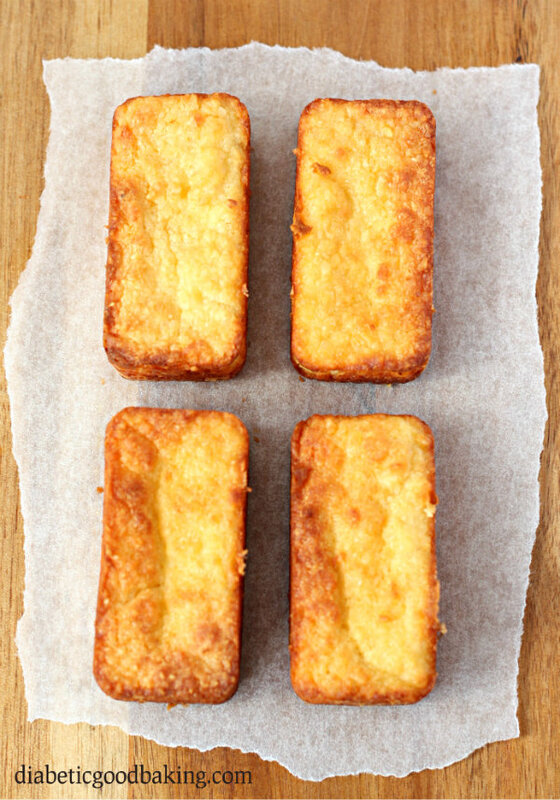 Let’s face it, low carb baking is great, but eating three cake a week is not a good idea! I try to make big batches of various cakes for parties or family gathering, where I can share them with other people. None of them are diabetics, but they all love them. It’s great to know that ‘normal’ people enjoy my cakes. It shows, that when you bake from my recipes, you are not going to be the only one in your family who likes it. 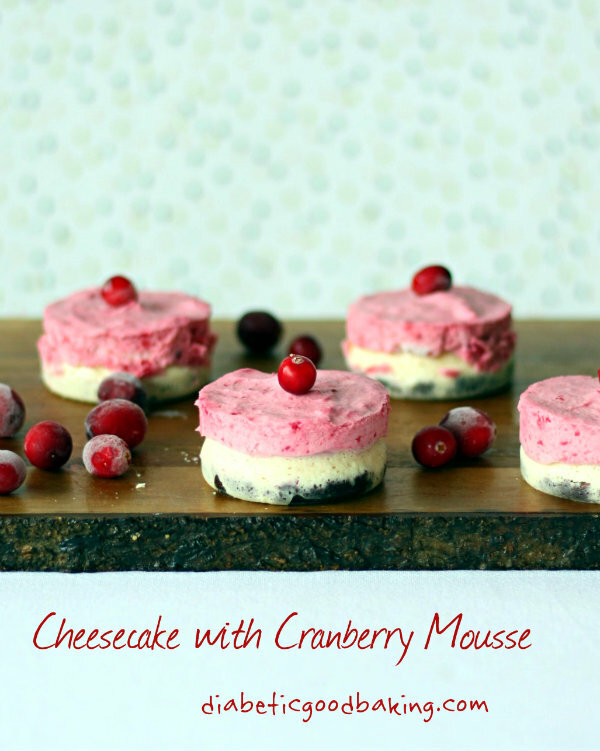 I made these little mini cheesecakes from the leftover cranberries that I had in my freezer from Christmas. 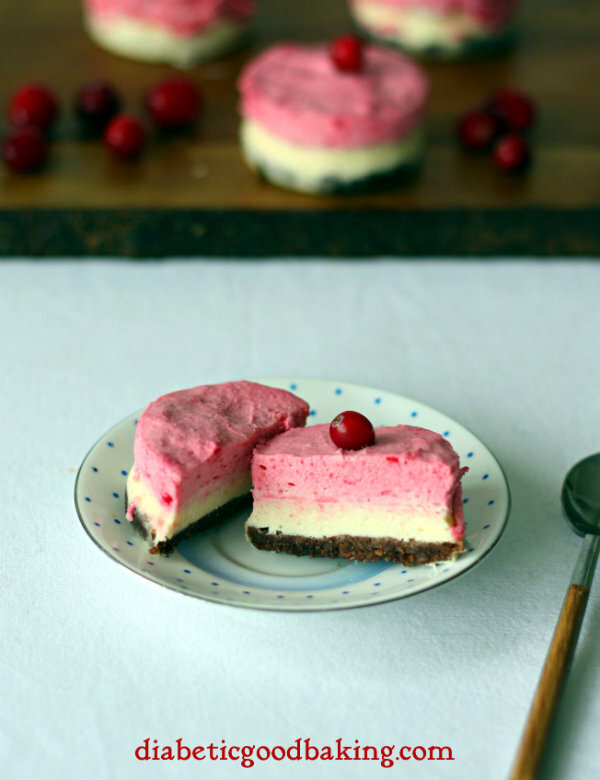 You don’t need much and it makes really nice and a bit different cheesecake. I made it in a mini sandwich tin from Lakeland, but you can make it in a regular spring form tin. Ingredients listed below will make 24 mini cheesecakes or one large cheesecake in a 23cm spring form tin. 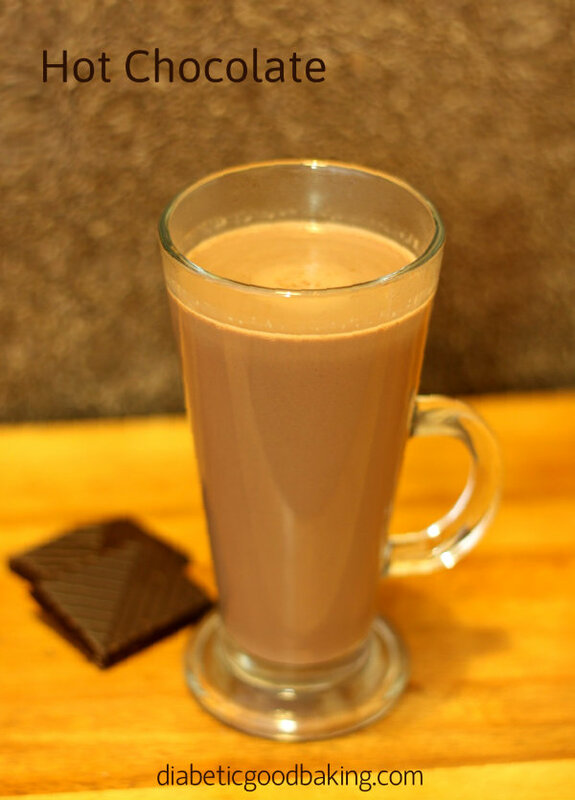 Melt the chocolate in a bowl over simmering water. Mix with ground almonds and press into the bottom of the spring form tin (lined with baking paper). Set aside to cool down a bit. All ingredients should be at room temperature. Place a tray of hot water at the bottom of the oven and preheat it to 150C. Mix all the ingredients for the cheesecake layer. You may use whisk or electric hand mixer but don’t mix for too long. You don’t want to beat too much air into the cheesecake batter. Pour the batter onto the base and bake for about 45 mins. Set aside to cool down completely. 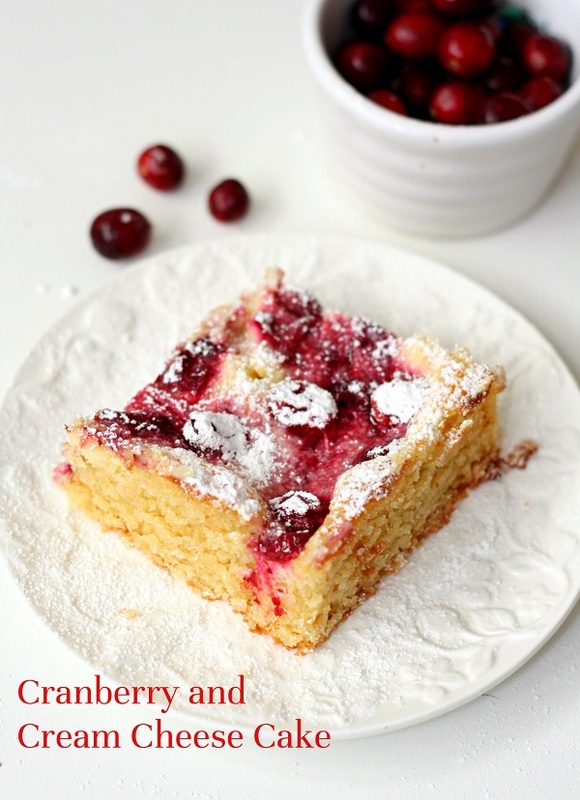 Place cranberries, lemon juice and erythritol in a saucepan. Bring to boil and cook on a low heat for a couple of minutes. Press the mixture through the sieve to form a puree. Cover the gelatine with hot water. Leave to soak for 10 minutes then mix it well until gelatine is completely dissolved. You may need to reheat it a bit in a microwave but be careful and don’t bring it to boil. 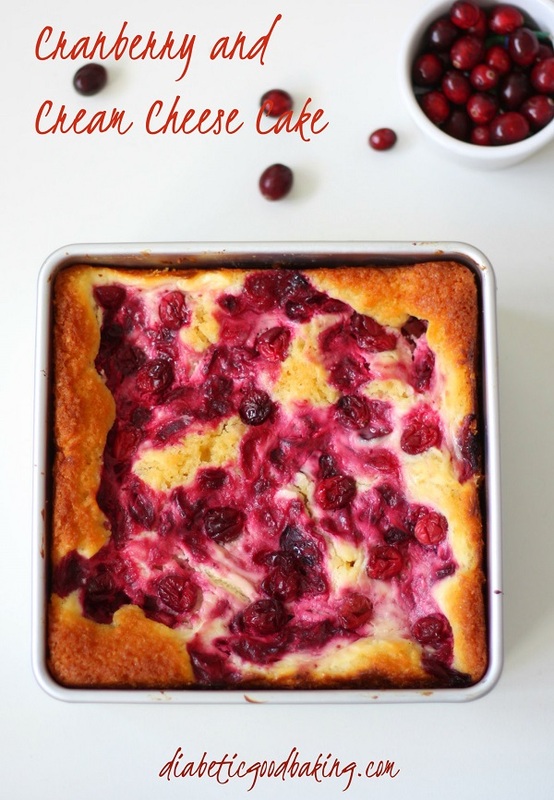 Mix it with cranberry puree and set aside to cool down completely. Whip the cream and fold in cranberry pure. Pour it over cheesecake layer and level the cake. Refrigerate for at least 12 hours before serving.